I-Deal Docs allows you to specify author / instructional / usage notes against each clause. 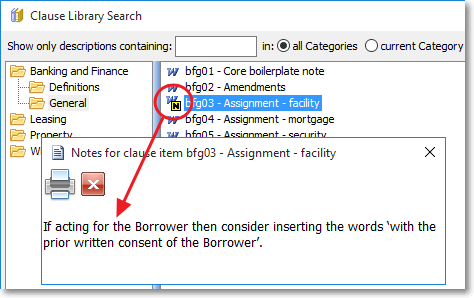 This allows you to document your in-house intellectual property about clauses. For example, you might make a suggestion about other complementary clauses or you might create a link to the relevant section of an Act. Copyright © 2019 I-Deal Docs Pty Ltd. All rights reserved.